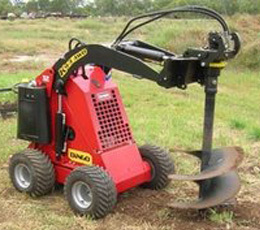 Capital Hire stocks a range of dingos and attachments to suit the needs of builder and homeowner. Contact us today for quality equipment at affordable prices. We deliver to all areas including Canberra, Murrumbateman and Yass. Enables back blading, front blading, and with opening jaws enables you to dump loads at full height and the advantage, grab rocks posts logs etc. Specification: Width 1050mm, standard tooth edge. Price $ 110.00 Per Day. Great for irrigation, storm water, plumbing & underground cables. 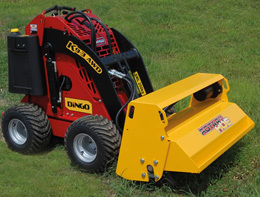 Looking for quality Dingo Hire in Canberra? 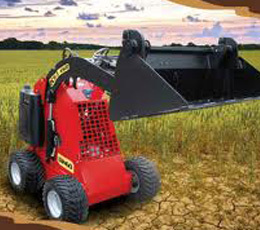 Choose Capital Hire for well-maintained equipment at affordable prices. Our service area includes all surrounding regions of Manton.